As detailed in our last blog post about the WannaCry virus, the importance of an effective backup method is greater than ever. Whether you are hoping to back up your work files, or the media you have collected over the years, there are a few ways to ensure that you never lose those files that matter to you the most. The easiest way to back up a small to mid-sized amount of data is by using a flash drive. Now you can get flash drives with anywhere from 32 to 64 GB, which means you may be able to fit every document or picture that you have ever added to your computer, along with some music and video files. The major benefit of a flash drive is the size, which ensures you can stick it in your pocket and take it wherever you are going with minimal fuss. For those who desire a more sizeable backup option, external hard drives are a great choice. These come in sizes ranging from 500 GB to 4 TB, depending on your needs. It is recommended that you go with multiple external drives in the 1 to 2 TB range, instead of getting one massive external drive. If you do choose to go with an external drive, you have two options with regards to a backup. You can either create a mirror of your current system on the drive and update it regularly, or you can choose to manually drag specific files or folders into the hard drive whenever you wish to back them up. Some external drives are thin and portable, while others are bulkier and require an external power source beyond the connected computer. Depending on your usage style, you may want to choose the appropriate drive to purchase. We offer a pretty comprehensive backup solution including a portable hard drive and a copy of our favorite backup program, Acronis True Image for PCs and the included Time Machine for Macs. 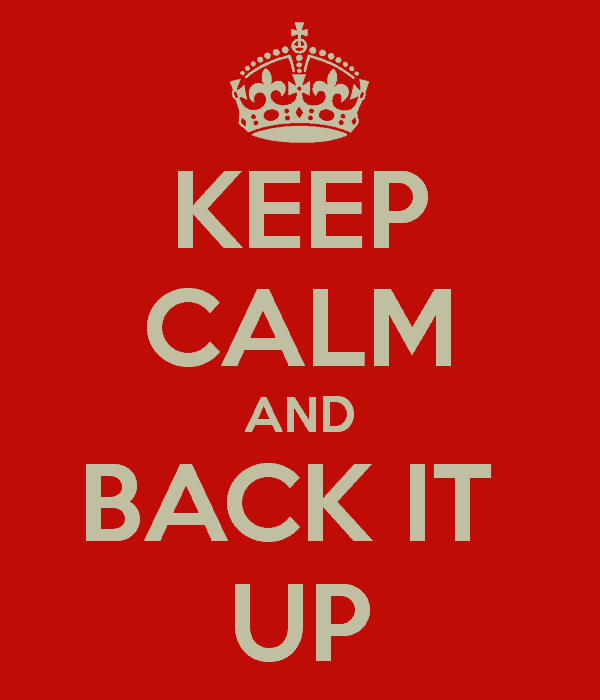 We’ll even configure it for you to make sure you have the most reliable local backup you can have. 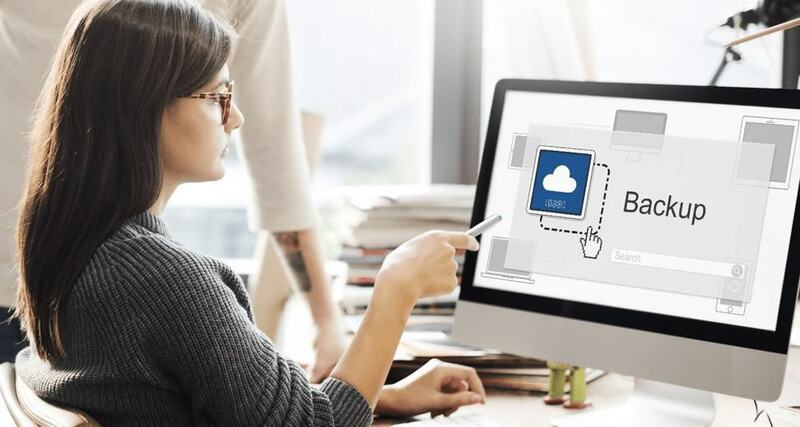 Perhaps the safest way to back up your data is offsite and in the cloud. Although a physical backup to an external hard drive is pretty reliable, we’ve seen times where the hard dri ve fails and the computer user doesn’t notice. In addition, an external hard drive is not safe from fire, theft, flood or power surge. Keep that in mind. With an offsite backup, like CrashPlan (our favorite), Mozy, or Carbonite, you can make sure your photos, music, documents, etc. are backed up somewhere safe, with 30 days worth of changes (revisions) saved for you. For instance, if you make a change to a document (or it’s encrypted by WannaCrypt), you can revert that document or all your files back to, say, Tuesday of last week, or even the night before. Pretty cool! And the fact that it’s offsite, means you’re safe from fire, theft, flood or surge. Since I’m a big fan of having a Plan A, Plan B and Plan C… my recommendation is to have all three of these, but even one is better than nothing. Back it up! Previous Post …about that BIG virus attack you’ve been seeing on the news. Next Post Search not working on Outlook 2011 on your MacBook or iMac? Try this!